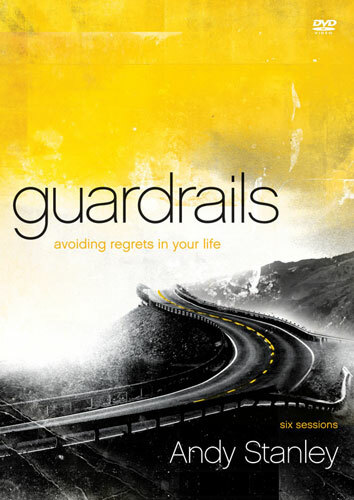 Guardrails: a system designed to keep vehicles from straying into dangerous or off-limit areas. They're everywhere, but they don't really get much attention......until somebody hits one. And then, more often than not, it is a lifesaver. Your friendships. Your finances. Your marriage. Maybe your greatest regret could have been avoided if you had established some personal guardrails. In addition to the small group sessions, this DVD is enhanced with six full-length messages from Andy Stanley and includes downloadable promotional materials as well as Leader's Guide pdf.